Since the completion of the kitchen, we have received nothing but compliments from everyone that has seen it! From start to finish Rudy wowed us with his design - he gave us what we wanted and more. Rudy was very patient with our many changes and helped our decisions with his expert advice. The work was done on time and on budget. Thank You Feng Fa for an elegant and functional kitchen. And most of all thank you for your great team. We had wonderful experience working with your entire team. 2. patiently guided us through the process with formal checkpoints from approving design, choosing paint color, countertop selection and final inspection of cabinets before delivery. 4. Professional and friendly staff. 8. accomodated additional requests free of charge like extra shelving even after the kitchen was made and delivered. In any project, i believe that nothing is really perfect , but what feng fa delivered was close to perfection. Special thanks to Anne and Song for being so patient and accomodating! We hope that we also get same great experience in months or years to come if in case we have issues. Again thank you very much and hope to work with you again in our next project. I highly recommended you to friends and families. 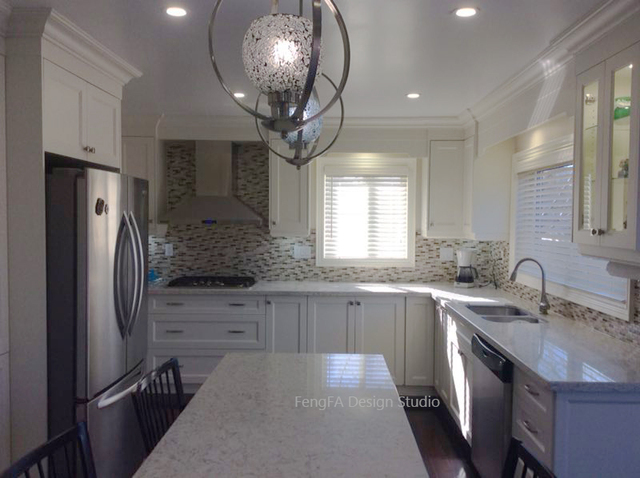 Founded in 2013, FengFa Design Studio is a one-stop home renovation shop intended to make your life easy and your home beautiful. 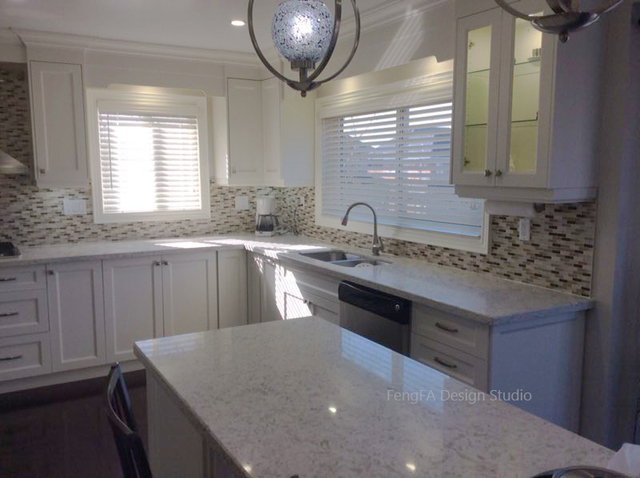 Whether you're looking to completely transform your kitchen, reface your cabinets, spice up your counter top, or add some life to your bathroom with a custom vanity, you will find yourself smiling whenever you see the home project you envisioned. 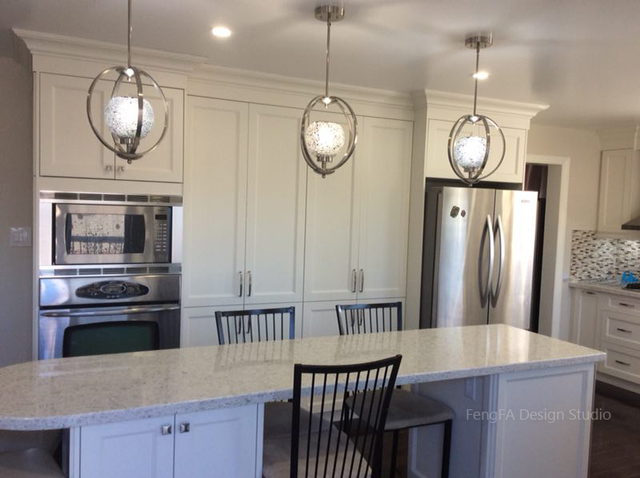 FengFa Design Studio is known for its unparalleled ability in creating stunning and unique interior designs, which are completely customizable by you. Our immensely talented interior designers will make sure that any guest visiting your home is filled with admiration. Your kitchen will be the focus of all of your friends, and they will see yours as a role model when it's time for them to remodel their own kitchen.